You’re Invited to the Halloween Carnival! When: Friday, October 31st from 2 p.m. – 5:30 p.m.
Where: Salt Lake City Civic Campus: Library Square and the Public Safety Building. Everyone is welcome. 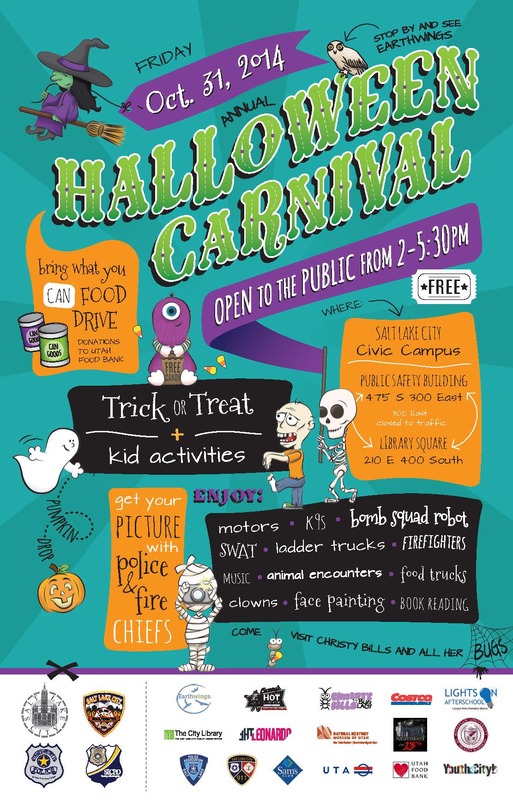 Come trick-or-treat, participate in fun activities for kids, and get your photo taken with SLC’s police & fire chiefs. Please bring can food to donate to Utah Food Bank. 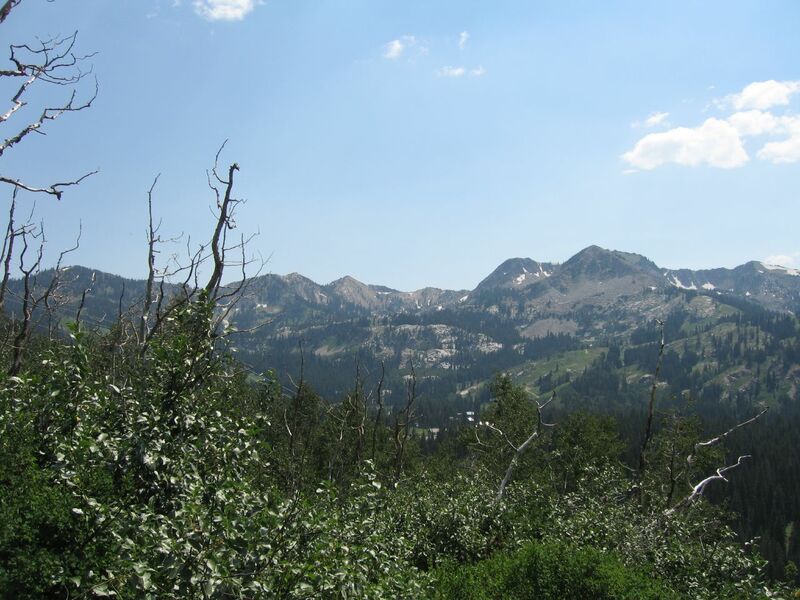 Help Shape the Future of the Wasatch Mountains! Photo Credit: Steve_W via Flickr. 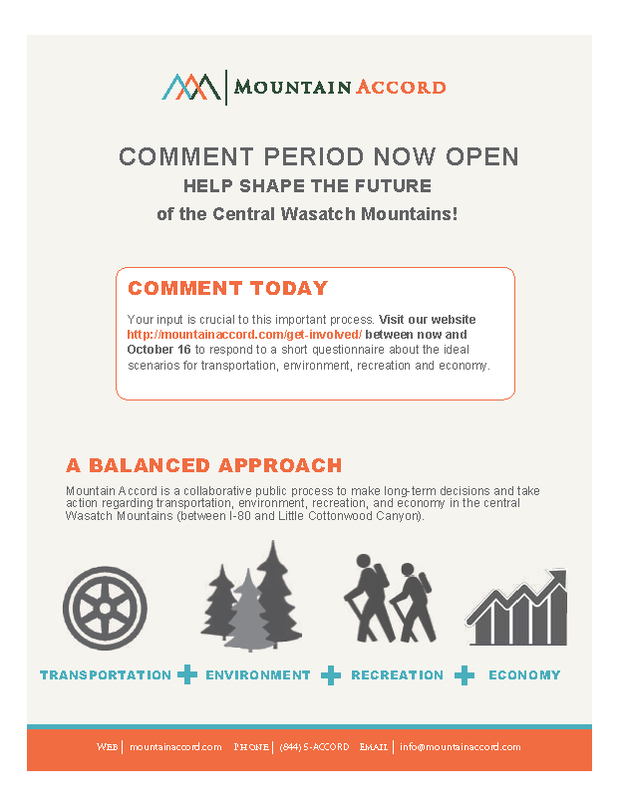 The Mountain Accord is a collaborative public process to make long-term decisions and take action regarding transportation, environment, recreation, and economy in the central Wasatch Mountains (between I-80 and Little Cottonwood Canyon). Your input is crucial to this important process! Comments are currently begin accepted on MountainAccord.com until November 20. Respond to a short questionnaire about the ideal scenarios for transportation, environment, recreation and economy. Project Skyline congratulates the University of Utah and Energy Manager Jeff Wrigley for the national recognition they received for their commitment to energy efficiency from the U.S. Department of Energy. “The University’s efforts showcase strategies that can be replicated at similar buildings, institutions and facilities across America,” said Dave Danielson, Assistant Secretary for Energy Efficiency and Renewable Energy. Read the full press release here. Project Skyline was pleased to be invited by Challenge Partner BOMA Utah to their September 4th lunch and learn. ENERGY STAR introduced and demonstrated the core functionality of the ENERGY STAR Portfolio Manager tool. Attendees were able to learn more about the tool and engage in a more in depth discussion with ENERGY STAR leadership. Look out for information on future BOMA Utah educational events. Check out the webinar here. Challenge partner USGBC Utah hosted a Project Skyline workshop on Efficiency Project Planning & Implementation Strategies on September 12th. On Friday September 12th, Project Skyline hosted its first Mayor’s Skyline Challenge workshop with USGBC Utah. This workshop included a great line up of speakers that each offered their own expertise in the world of building energy efficiency, with plenty of opportunities to engage with the audience and lead the discussion. Nexant offered an overview the energy efficiency project process, ETC Group presented their Top 10 energy efficiency strategies for existing buildings, and the University of Utah’s energy manager Jeff Wrigley presented a case study on efficiency improvements made to the Eccles Institute of Human Genetics. This was an excellent start to the workshop series, and Mayor’s Skyline Challenge participants can expect future installments to offer just as much insight and engagement. Thanks again to USGBC Utah, Nexant, ETC Group and the University of Utah Facilities Management for sharing your expertise and forwarding building energy efficiency in the Salt Lake City community. Project Skyline gets highlighted at national Urban Sustainability Directors Network (USDN) annual meeting. 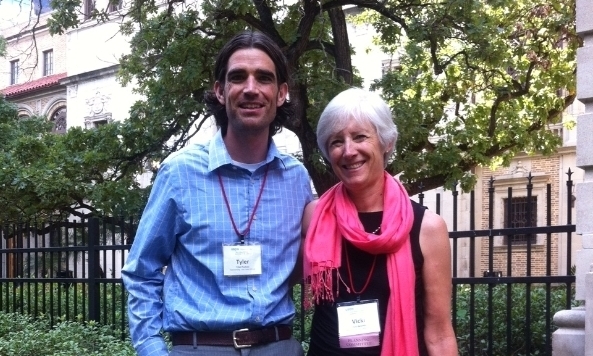 Salt Lake City Sustainability Director Vicki Bennett and Sustainability Program Manager Tyler Poulson were invited to the national USDN meeting to discuss how local governments can help to scale up energy efficiency and net zero energy buildings. Please join us in welcoming our newest Challenge participant, Architectural Nexus. See their profile here. Final e-waste recycling event this Saturday! 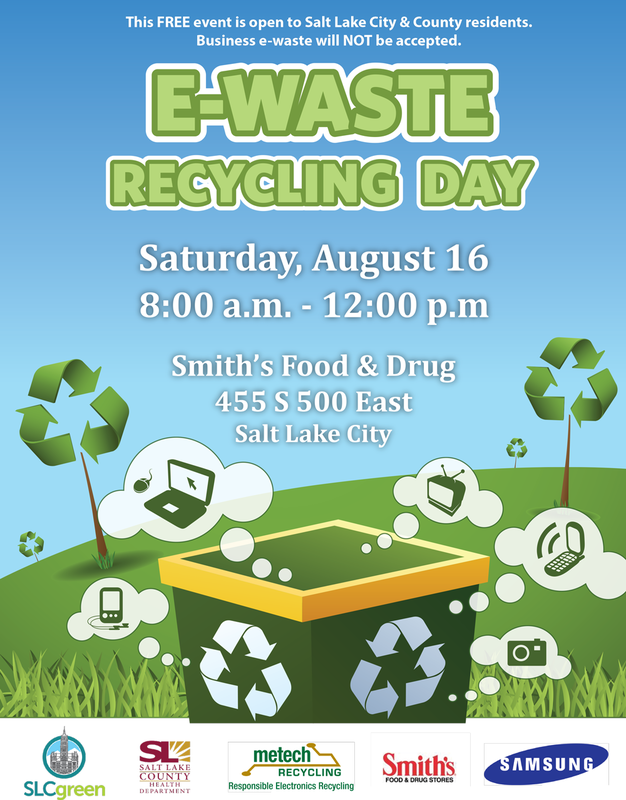 Salt Lake City is offering it’s final FREE electronic waste (e-waste) recycling day of the summer on Saturday, August 16th from 8 a.m. to noon at the Smith’s located at 455 S 500 East! Check out the complete list of acceptable materials (PDF). Learn more about electronics recycling. Wasatch Community Gardens is excited to host the 2014 Urban Garden and Farm Week — taking place all this week! Urban Chicken Keeping Workshop. Join the fun on Wednesday, June 25 at 6:00 p.m. at the Grateful Tomato Garden for a workshop that will help you understand how to be a successful chicken keeper in the city. Don’t miss out on the famous Urban Garden and Farm Tour. This self-guided tour takes place on Saturday, June 28 from 10 a.m. – 2 p.m. and features chickens, sustainable lifestyles, small space gardening, rainwater catchment, and more. Wasatch Community Gardens hosts the Urban Garden and Farm Tour in order to gather energy, raise awareness, and share ideas about urban gardening in the Salt Lake Valley. The tour will inspire you to create a growing space of your own in order to provide healthy, real food and an educational experience for the entire family. So whether you are a budding gardener, a seasoned grower, a backyard poultry keeper, or an urban dweller with herbs in a window, Urban Garden and Farm Week will have an event for you. Learn what is happening in Salt Lake and with our local food movement, and how you can become a part of it! Credit: Utah Arts Festival, Facebook. It’s time for the annual Utah Art’s Festival! Spanning four days from June 26-29, this momentous event attracts the entire city to enjoy live music, unique film performances, endless art displays, and of course, incredible food. The Arts Festival is an opportunity for everyone to explore, engage, and appreciate the vibrant city culture within Salt Lake. The festival schedule this year offers everything from beginner’s drawing workshops and comic book creations to epic concert performances and the “Fear No Film” series of unique and impactful independent films. And of course, how could you forget the food? Between Thursday’s Chef Competition, the Leo Libations Wine Pairing workshop, and the numerous booths providing delicious eats, this annual celebration will undoubtedly be a memorable crowd-pleaser. If you’re still in need of reasons to attend, more good news awaits: this year, the festival is going above and beyond to “green” up the four day celebration. As in past years, the Festival is offering FREE bike valet services along 400 South in the sponsored Blue Sky Bike Lot. As we all know, downtown parking can be nothing short of a crowded nightmare; do yourself AND the environment a favor and bike down for free! Worried about the trek back? The Library TRAX station is located just outside the festival and can take you safely where you need to go. Additionally, the 228 and 205 buses run directly by the heart of the festival; you, your friends, and your bike can catch a hands-free ride home after a day of artistic enjoyment. The Arts Festival is also proud to announce this year’s recycling opportunities for plastic bottles, cups, aluminum cans, cardboard, glass, food scraps, and even vegetable oil. Be sure to keep an eye out around the tents for designated garbage, recycle, and compost bins throughout the plaza. Our beautiful city will thank you! Even more exciting news: Rocky Mountain Power, in partnership with Blue Sky, will be transforming the festival into an entirely “green” event by supporting renewable energy equivalent to the amount required to fuel the four-day celebration. To put this in numbers, the Festival will be preventing the potential emission of 87,398 pounds of carbon dioxide from entering the atmosphere. With the additional help of all the attendees who will spend the days enjoying the outdoors rather than driving around, it’s safe to say that the Utah Arts Festival is officially a notable step towards a greener Salt Lake! If you’ve ever doubted joining in on this annual event, 2014 is certainly the year to hop on board and let loose for a weekend of great food, incredible art, lively performances, and now more than ever, the chance to help keep our beautiful environment clean. See you all there! This post was written by SLCgreen intern Lauren Mills.